The Nigeria Christian Post: When will the Killing Stop? 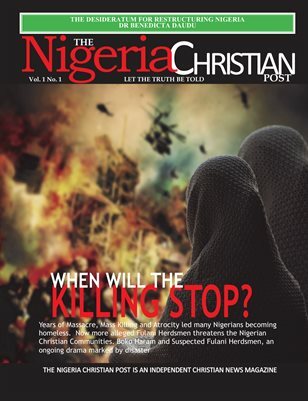 A brand new edition of The Nigeria Christian Post explores the major events happening in Nigeria: When will the killing stop?, Benue Massacre. Also included in this edition - Refugees and the Host Countries, High time for peace talk with Taliban etc.